Every time I see you wear this blazer I'm so envious - I tried it in the fall and loooved it, but alas, I'm allergic to the wool in it. It looks so amazing on you, especially paired with that necklace! I love leather details! 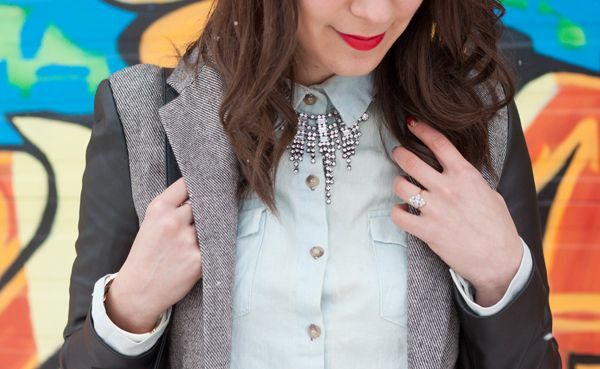 This look is great and you look so fab with a bold red lip. Really loving your blog lately! haha love it skinny mini! And love those tights! 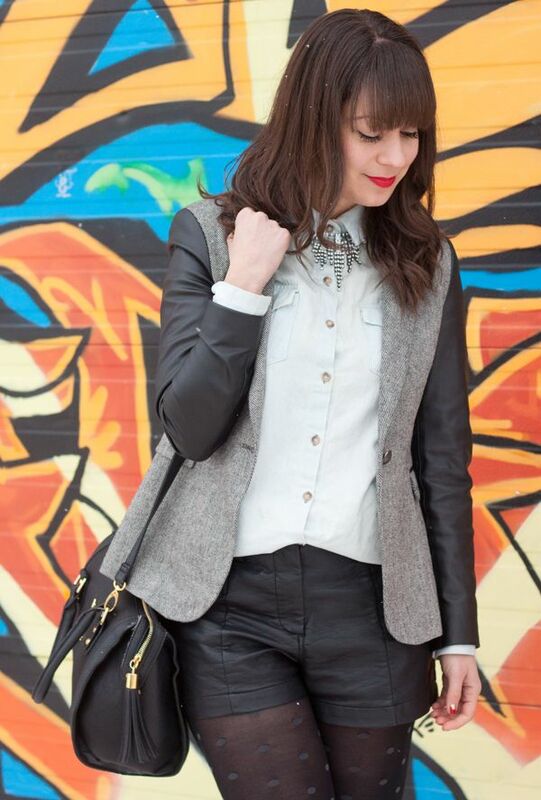 LOVE the leather and polka dot mix! I live this. It's mixture of amazingness!! !